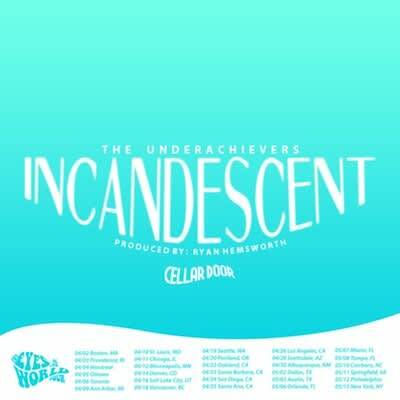 Brooklyn duo The Underachievers are gearing up to release their debut album Cellar Door: Terminus Ut Exordium and have unveiled the lead single, "Incandescent." The song is produced by Canadian cloud rap luminary Ryan Hemsworth, who slightly veers away from signature sound to craft something a little bit more menacing. Check it out below. RELATED: Video: The Underachievers "N.A.S.A."